The Al Nusrah Front for the People of the Levant, al Qaeda in Iraq’s affiliate in Syria, led an assault today that resulted in the takeover of a major dam on the Euphrates River in northern Syria. Additionally, the terror group claimed credit for a suicide assault on an intelligence headquarters in the city of Palmyra. The Al Nusrah Front spearheaded today’s assault on the “strategic” dam in Thawra in Raqqa province, according to the Syrian Observatory for Human Rights. The Nusrah Front led “other factions” of the insurgency to take control of Thawra, which “is considered one of the most important cities in north-east of Syria,” and its dam, which is the largest in the country. 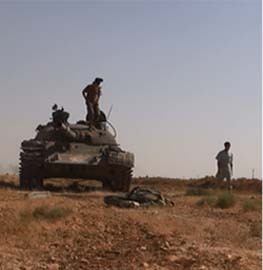 The Syrian military melted in the face of the Al Nusrah Front-led attack, the Observatory reported on its Facebook page. 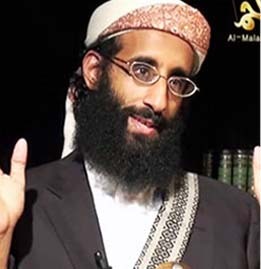 The group also published video of jihadists in control of the dam. 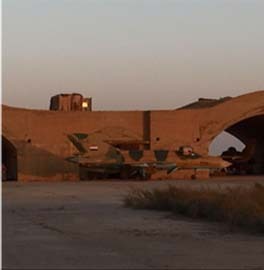 “The regime has not shown any serious resistance to the rebel takeover, the leaders of the security services were flown out of the cities with helicopters, they are now stationed at the Tabqa military airport,” the human rights group reported. The fall of Thawra puts the Al Nusrah Front and its rebel allies in virtual control of the Euphrates River Valley. Thawra is upriver from Deir al Zour, a major stronghold of the Al Nusrah Front and jihadist allies. The Al Nusrah Front has banded together with nine other Islamist groups to create the “Mujahideen Shura Council,” which is modeled after a group with the same name that was formed by al Qaeda in Iraq in 2006 and which eventually became the Islamic State of Iraq. Al Nusrah has also imposed sharia, or Islamic law, in Mayadin and has a strong presence in Albu Kamal, which is on the border with Iraq. 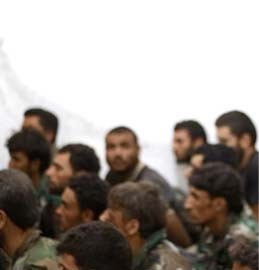 Rebel groups also seized control of the Baath dam in Raqqa province and the Tishrin hydroelectric dam in Aleppo province, according to The Associated Press. Control of the Euphrates River Valley will solidify Al Nusrah Front’s lines of communication with al Qaeda in Iraq in Anbar province. The Al Nusrah Front routinely conducts joint operations with other jihadist groups, as well as with supposedly secular rebel groups such as the Free Syrian Army. The al Qaeda affiliate’s ranks have been growing, and it is now estimated to have upwards of 10,000 fighters in its ranks. 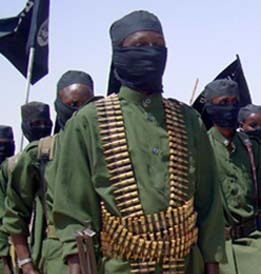 Due to its organization and prowess on the battlefield, the terror group has become popular and is recruiting from other rival groups. The Nusrah Front has overrun three major military bases and conducted multiple suicide assaults, or “storming operations” as Al Nusrah calls them, on security and intelligence bases and headquarters throughout the country. Also today, the Al Nusrah Front claimed credit for the Feb. 6 suicide assault on an intelligence headquarters in the city of Palmyra in Homs province. The Al Nusrah Front said “private sources” claimed that “400 elements from the security forces” were killed in the attacks. Reports the day of the assault in Palmyra said that between 12 and 19 security personnel were killed [see Threat Matrix report, Suicide assault team hits Syrian intelligence in Palmyra]. Despite Al Nusrah’s known affiliation with al Qaeda and its radical ideology, Syrian opposition groups, including the supposedly secular Syrian National Coalition, have rallied to support Al Nusrah. 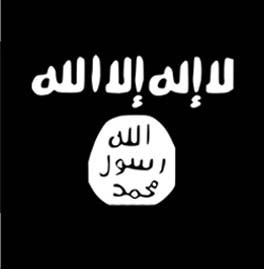 Immediately after the US designated Al Nusrah as a terrorist group, 29 Syrian opposition groups signed a petition that not only condemned the US’s designation, but said “we are all Al Nusrah,” and urged their supporters to raise Al Nusrah’s flag (which is the flag of al Qaeda) [see LWJ report, Syrian National Coalition urges US to drop Al Nusrah terrorism designation]. The Al Nusrah Front has used al Qaeda’s signature tactic — the suicide bomber and suicide assault team — to target Syrian security forces. The Al Nusrah Front has now claimed credit for 49 of the 59 suicide attacks that have taken place in Syria since December 2011, according to a tally by The Long War Journal (note that multiple suicide bombers deployed in a single operation are counted as part of a single attack). Seven suicide attacks have now been reported in Syria so far this year; Al Nusrah has claimed credit for six of them. Al Nusrah is a terrorist organization. This dam has to be taken away from them. The West should help. America should lead. All terrorists and traitors have to be kicked out of Syria. Their sponsors should pay reparations. It was only two months ago that the anti-Assad forces bagged the other, upstream, dam, of the Euphrates. So while Assad can’t get gasoline for his friends — his opposition can keep the lights on in Aleppo. The combined output of both damns must surely be enough to sustain the northeast of the country. 824MW (Tabqa) + 630MW (Tishrim) = 1,454 megawatts. Is it me, or is the Assad regime losing ground rather rapidly these days? How come? Is their military really that depleted?